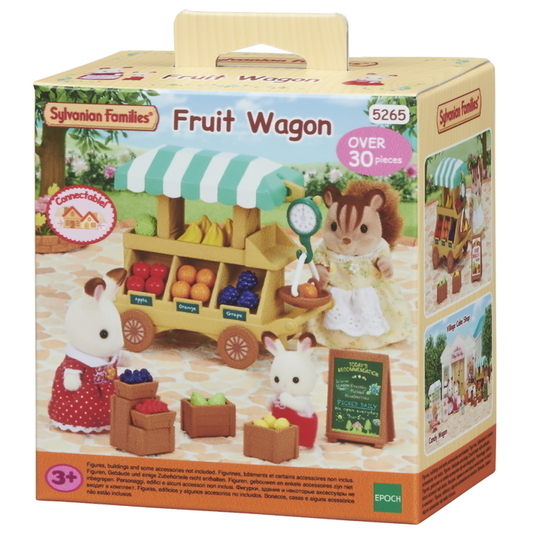 Fruit Wagon has lots of storage space. 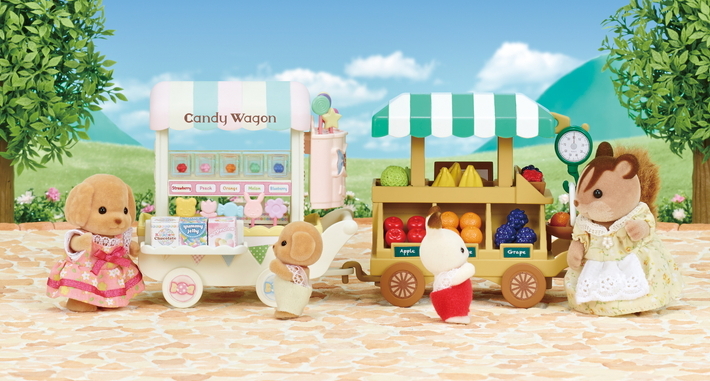 You can take a sign, a rack and crates of fruit out of the back of the wagon and set up a stall. Put it all back in the wagon when you want to move the wagon. 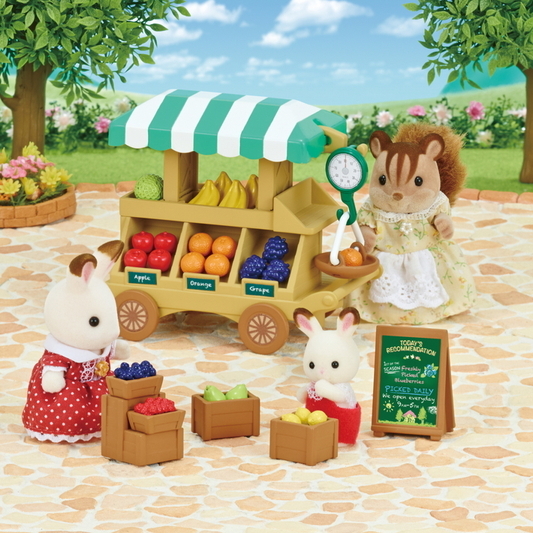 There's also a scale - put fruit in the scale basket to sell fruit by weight. 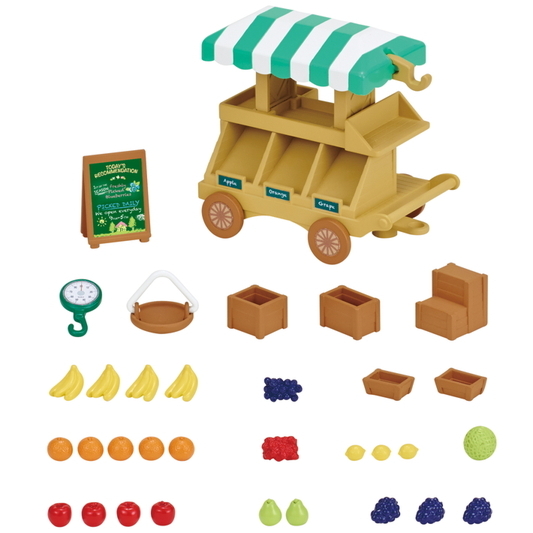 Fruit Wagon can be connected to other products such as the Candy Wagon, Hot Dog Van and Popcorn Wagon (all sold separately) for even more fun.